Back to Basics employs over 80 tutors, translators, and interpreters, all of whom are experienced degree-holding professionals. Educators are selected for each assignment based on a client’s expressed need, goals and schedules. Back to Basics serves the needs of a wide range of students with instruction in more than 60 subjects. Whether a student is pre-kindergarten through college age, or older adult, our philosophy of building skills and confidence remains the same. Since 1985, the tutors at Back to Basics have been helping students reach their full academic potential. We work with remedial, special education, and enrichment students. In addition, we work with major corporations and small businesses doing interpretation/translation and teaching English (ELL), time management, writing, languages, and other skills vital in today’s business world. We offer 1-on-1 tutoring in our Center just off Augustine Cut-Off in Wilmington, Delaware, at our new Newark, Delaware tutoring Center on Paper Mill Road, or in the client’s home, school or office in Delaware, Pennsylvania or Maryland. Foreign language and sign language interpreting are also provided in these locations. Back to Basics requires, at a minimum, a Bachelors Degree, 1 to 2 years of teaching and/or tutoring experience, and a true devotion to education. 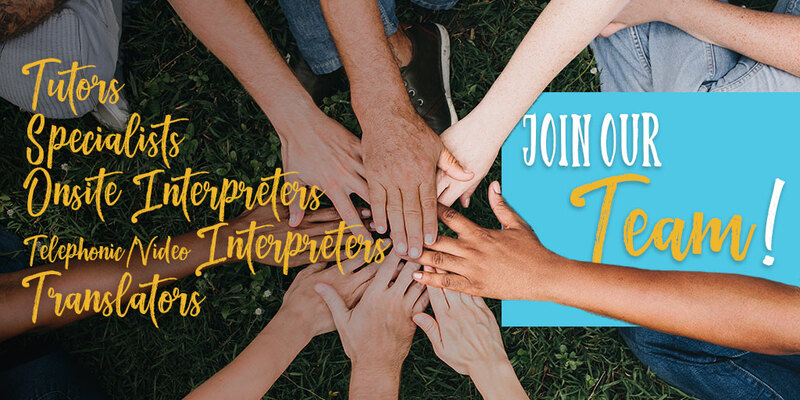 Translators and interpreters must have experience in their field. Please review specific requirements at each link below. Ready to get started? Please fill out our online application here. If you are unable to access the online form, a pdf is available here: Application, Back to Basics, 2018.